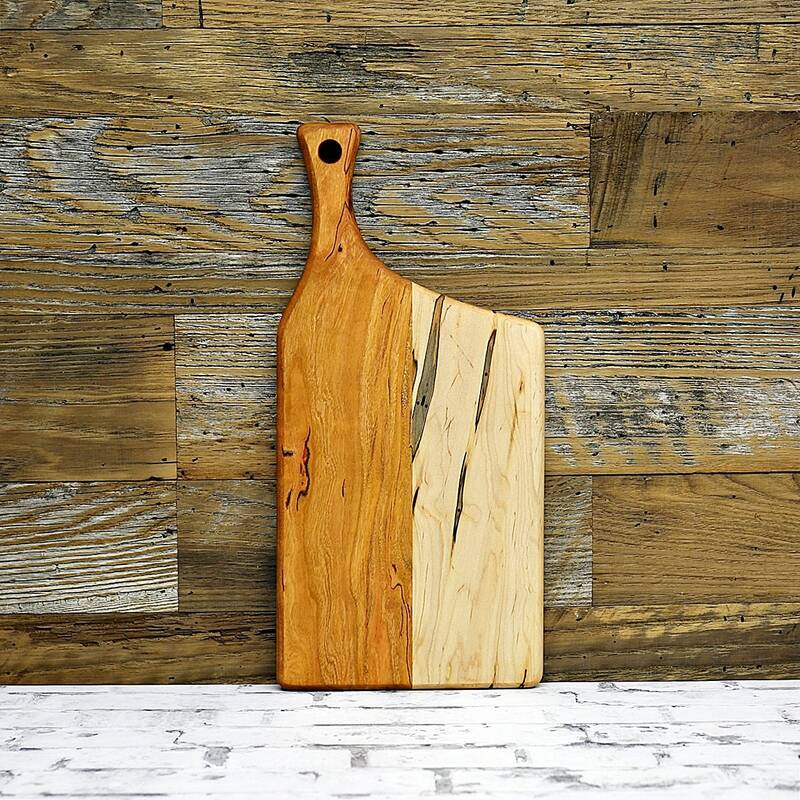 Your viewing a wood cutting board made from cherry and ambrosia maple. Both the cherry and maple have some beautiful, unique colors and features. 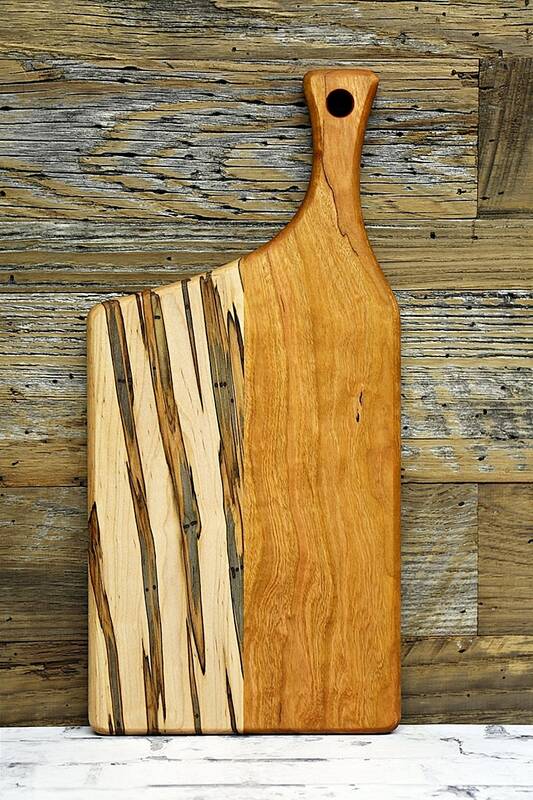 The handle is cherry and the other half of the wood is ambrosia maple. 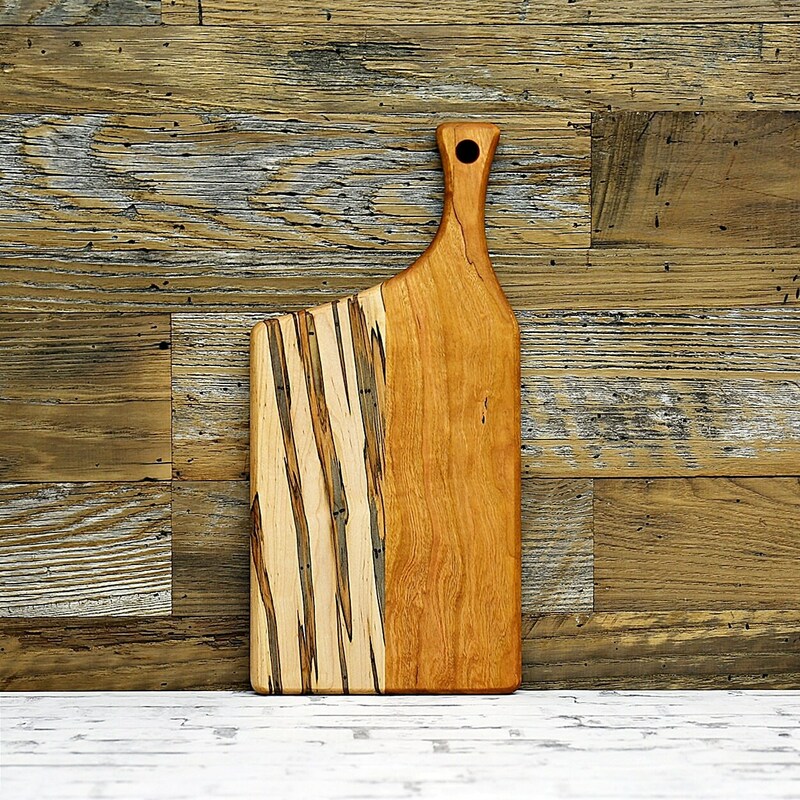 The board is sanded and finished to a smooth touch and is completely rounded on the edges, as well as sporting a small hole for hanging/display. Small, natural holes in the wood have been filled.